Hi everybody – as you may have noticed I took most of July off to spend time with kiddos, but I’m back. Today I am excited to announce the winners of June’s Scraplifter’s Challenge. If you haven’t checked out all the entries yet, you really should there were some beautiful pages! I will also be posting August’s Challenge later today so keep your eyes open. All of our winners will be receiving their $10 in free prints via email in the next 48 hours or so. Let the sunshine in! This month’s free page template is pretty simple. There is only room for one photo graph, but there is space for you to journal. This would be a great page template for writing down one of your favorite summer memories this year. 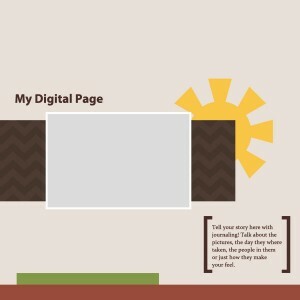 To enter the page template challenge just download the scrapbook layout below, create your page, save a copy 600 x 600 pixels and upload it in the comment section below. This month my two favorite page will get $10 in free prints from PersnicketyPrints.com. 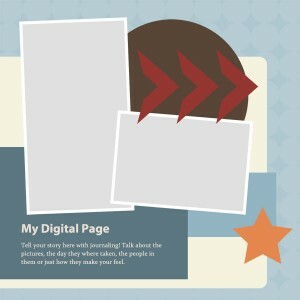 This months’s free page template for the Scraplifter’s Challenge will hopefully let you get really creative. There is space for two photos, but you could split those larger photos into a couple smaller ones if you would like.